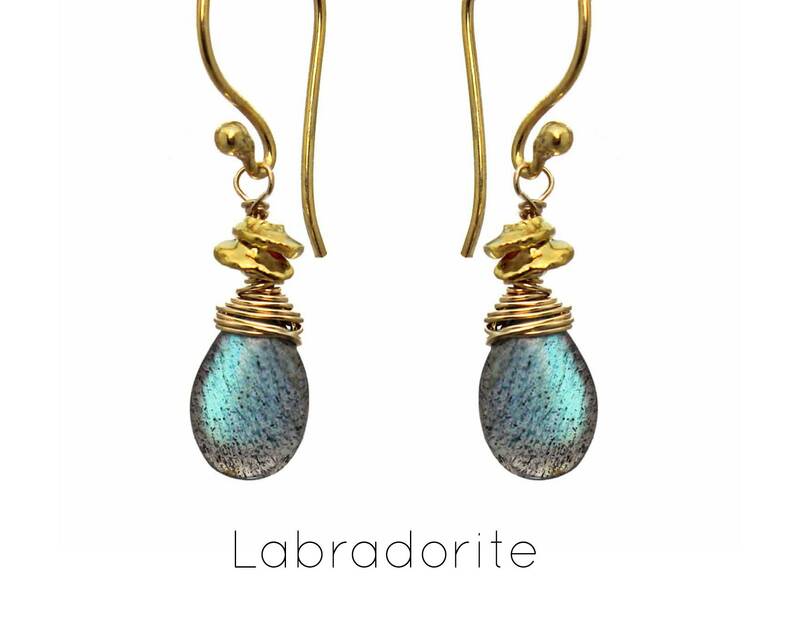 Wire Wrapped Labradorite Gemstone Earrings with Wrapped Tiny Nuggets. Gold Filled or Sterling Silver E-1964-1. 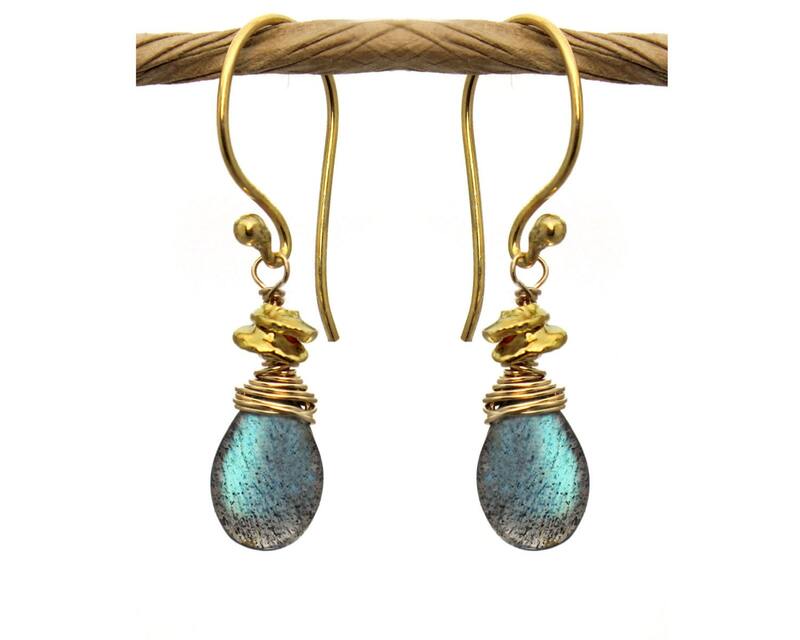 Earrings measure 1" from top of earwire. 3 Pop them in your cart and check out.